As we eagerly await the third series of Peaky Blinders, returning to BBC2 in May, it’s a good time to take a look back over what historians who study its period and its themes have made of the hit drama series. Questions of authenticity are bound to come up when thinking about any historical drama, with names, dates and places all queried, alongisde the accuracy of the accents. In this vein, the Birmingham historian Carl Chinn did some digging and made what might appear a damning discovery: “there were no peaky blinders in Birmingham in the 1920s and 1930s”. The gang did exist, but press reports date them earlier. One “murderous assault” in 1890 followed the mocking of a teetotaller for drinking ginger beer in the Rainbow on Adderley Street in Digbeth (which is still a pub today). He was left hospitalised for three weeks with a fractured skull. A letter to the local paper claimed it to be the work of the “Small Heath Peaky Blinders”. Another incident in 1895 saw two men sentenced to prison and hard labour for beating the two constables who were called to the long-gone Stag and Pheasant (on the corner Bromsgrove Street and Pershore Street), to evict 20 to 30 Peaky Blinders. However, there were no such reports as late as the 1920s. What remained was only their “unsavoury reputation”. Reports of their fights also suggest the fiction has parted from fact. Carl Chinn notes that reports of their fights referred to “metal-tipped boots, stones, belt buckles and sometimes knives”. They also fought with “life preservers – a short, weighted club like a small truncheon or cosh”. But not with razor-blades sown into the peaks of their caps, something that would have been cumbersome and time-consuming in a fight. Instead, he suggests, the name derived from the simple fact they were known for sporting these flat caps with stiff peaks, in place of the billycock style of bowler hat that was more popular with working-class men until the late-1880s. Similarly, crime historian Heather Shore worked through the fact and fiction – rejecting pedantry while acknowledging that the series collects historical episodes from various times and places. While the ‘Racehorse Wars’ around the illegal betting scene and the figure of Billy Kimber would have been found in 1920s Birmingham, we must look a little later to Sheffield and then Glasgow to find a figure like Sam Neill’s Chief Constable, leading the charge against the city’s gangs. More generally, the ‘gangster’ culture the show presents is more something to associate with the 1930s than the 1920s – a cultural import from America most notably after the 1929 St Valentine’s Day Massacre. The gang culture of this time was more one of hooliganism. She is unsurprised by this, however, since “tropes and stereotypes honed through decades of intertwined culture and the ‘factual’ reporting of organised crime have retrospectively shaped the way we understand historical ‘gang’ culture”. But how much do these inaccuracies or misappropriations matter? Certainly they matter little for the programme as a drama. But do they undermine the ability of the programme to represent something truthful about British life in the 1920s? To my mind, the show’s characteristic bleakness was contrasted well when the second series saw the Shelby boys move on London, with its more glamorous clubs and jazz scene. If this was a production in the style of Andrew Davies (the screen-writer who brought us Pride and Prejudice, not the historian who brought us Gangs of Manchester), the very first episode might have begun with the night-life of the Roaring Twenties, and panned across town to the dirtier, harder lives of our protagonists. Despite being chronologically and geographically warped, it would have set up the usual dichotomy: the shock reveal that it wasn’t all Bright Young Things. 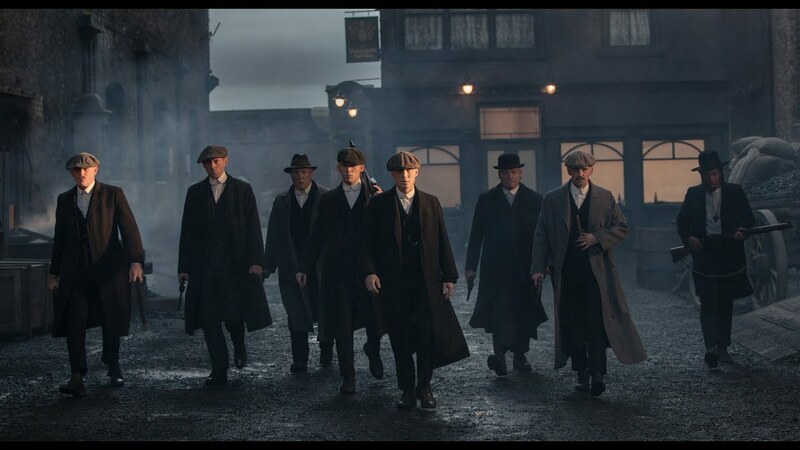 Instead, by waiting until the second series to show this side of the period, Peaky Blinders offers us a suffocating, all-encompassing and hard world. One of uncertainty and anxiety that reflects some of the most striking work of recent historians on Britain as a ‘shell-shocked’ nation. For Jessica Meyer, historian of the First World War, it was these long and dark shadows of the war that caught her attention, coming to the fore in the climax of the first series and then being a recurring theme in the second. She was struck by references, perhaps unintentional, to Seigfried Sassoon casting his medal into the Mersey, to Wilfred Owen’s Strange Meeting, and even to Alan Seeger’s less well-known I Have a Rendezvous with Death. This echoes the warning of political historian Steven Fielding that politicians, seeking to challenge young people’s negative views of the First World War in favour of a flag-waving centenary, should be less concerned with Blackadder and more with Peaky Blinders. The resonance of war poetry rather than military history reminded Meyer “there are emotional as well as historic truths to be acknowledged”. Evan Smith has compared how the issues of the day – from damaged men and their families to the outsider status of the Irish, as well as the place of women, crime and radical politics in a time of change – have been portrayed in Peaky Blinders and across the pond in Boardwalk Empire. And the way they’re handled in Peaky Blinders, as Matt Houbrook has commented, provocatively captures something of the “emotional dynamics” of everyday working-class life, and the broader dislocation of the time. What impressed him was the way the series evoked the era. So, the usual fussing about historical accuracy aside, historians have found a great deal of historical truth in the first two seasons of Peaky Blinders. Even if they were less taken with the news that the series had inspired a new “completely immersive” bar and restaurant, with fine-dining accompanied by cocktails, jazz and gambling. I guess you’d need to decide whether you were headed upstairs with the Bright Young Things or downstairs with the working-class patrons before choosing what to wear from the ‘dress-up box’. Although claiming to be based on the true life characters and the TV show, The Tick Tack Club was not opened in Birmingham’s Small Heath area, but in a secret location under London Bridge. Something of a spin-off, the premise is Billy Kimber moving south and setting up a new gang – The Elephant Boys – in order to take on the north London gangs’ control of the capital’s racecourse betting. 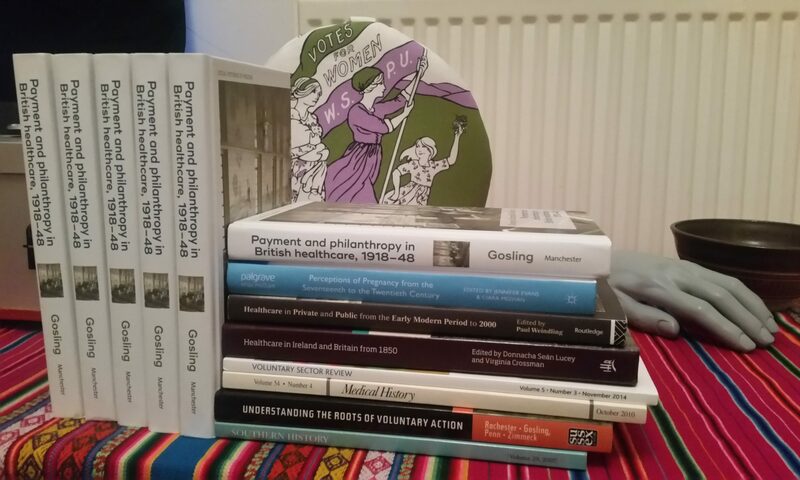 From Matt Houlbrook it earned the hashtag #badhistory for its “very many levels of missing the point”, while fellow historian Mark Williams suggested the evening might end “in an alcohol-fuelled bloodbath powered by criminal indignation and ironic comment on 1920s social change”. Quite. Novelty spin-off events aside, Peaky Blinders has made a thoughtful and relevant fictionalised contribution to how we make sense of Britain between the wars. And we’re likely to have plenty more to discuss, with the show’s writer, Stephen Knight, saying he’d like to end the final series with the first air raid siren of World War Two. Hi George, an interesting post. I think when I wrote the original blog (in response to the first season) I was particularly irritated with the writer’s frequent references in interviews, etc, to how historically ‘authentic’ the series was. I didn’t watch the second series, as it was just too close to home for me to watch it without getting irritated, I’m afraid! Interestingly, from the bits I did catch, there was a bit of retrospective cultural stereotyping again, this time with the Sabinis channelling the Corleones. Thanks Heather. I caught up on the first series when repeated, so probably missed the fanfare and interviews when it first aired. Can characters/stories be ‘authentic’ even if misplaced chronologically? I think that’s a bit of stretch. But I’d say your critique in terms of authenticity is completely fair. And for a crime historian it must be a tough watch because of that. It’s of my period but just far enough outside my own research areas to not really feel like work when I’m watching it – which has to help. I think ‘authentic’ is a somewhat slippery concept for all of us, and certainly for media/tv types. As you imply, other historians of the period would probably argue that it has an ‘authentic’ feel or mood about it which may be all we can ask for of a cultural interpretation of the past. To be honest, I think it’s always difficult when it’s a topic/area you have researched in detail. I’m a little bit (too?) protective of ‘Darby’ and the boys!